We have a form that asks for the students first name and last name. 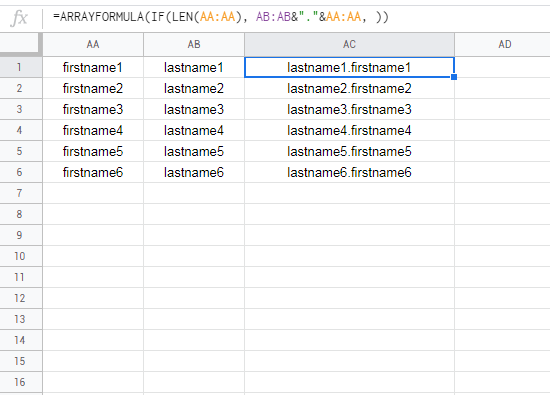 I am trying to using concatenate and an array formula to display "Lastname.Firstname". but it displays all the last name, a period, then all the first names - looking like this smithjohnsonjackson.johngeorgeharry. What am I doing wrong?